For many people, home printers have become an annoying joke. Buying one for the cost of the inks it comes with is one of the more confusing realities of printer ownership in 2017. A mix of cut-price printers and overpriced inks has driven many to after-market cartridges, which can damage or confuse the printers they go in. It’s wasteful, often expensive, and thankfully soon to change according to Jon Cavell of Warragul Computer Repair. 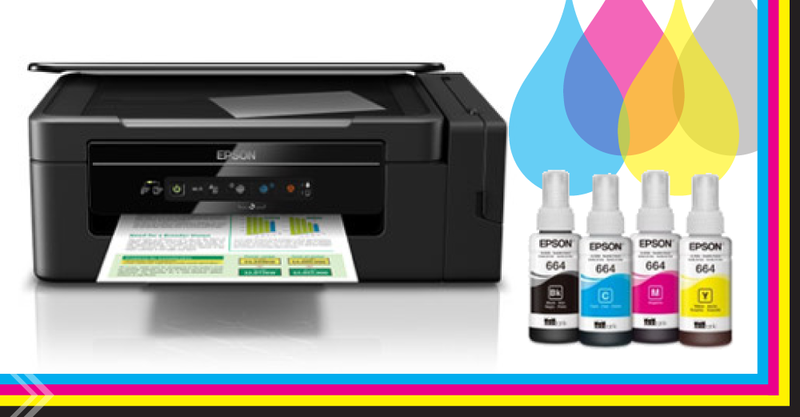 “Someone at Epson understands it makes sense from a business perspective to make a printer which lasts, and to supply inks for that printer at affordable prices. A continuous ink printer using a system like Epson’s EcoTank does away with cartridges completely. Instead, you keep your printer topped up with ink straight from simple bottles. That’s right – no more over-packaged cartridges good for only a few dozen prints, and no more “ink low” nonsense forcing you to throw ink away! It’s not complex. It’s not technical. It’s just common sense, and that has Jon excited. “Our thoughts? Wow, amazing,” he said. “The affordably priced refill bottles mean problems associated with mismatching inks have been essentially eliminated. “Air leaks due to ink cartridge changes are gone, and the cost of printing – wait for it – oh my God, it’s so much cheaper! “They’re so reasonably priced it’s pointless to use other options. “These are printers which are clearly designed to be purchased and looked after and cared for. Yes, they are a little bit dearer than a regular printer, but in the long term they are substantially cheaper to run and own. In the unlikely event you need to use the warranty, you have a local on your side. Warragul Computer Repair recently gained Epson Authorised Repairer status, meaning all repairs and warranties can be handled locally and in person. Not looking for a new printer? Print regularly to avoid clogs; once a month is not enough. Just like a dual fuel car, never mix genuine inks with after market options. It’s fine to run one or the other, but NEVER mix. To avoid paper jams, never use damp, bent, or already used paper, and make sure your printer is on a level, stable surface. Using fresh A4 copy paper is best practice, but if you must use photo paper be sure to print on one or two sheets of copy paper afterwards to blot away any excess ink. Be sure to check out Jon’s regular IT news and alerts at warragulcomputerrepair.com.au, and drop in to say hi at 6 Smith St Warragul. See continuous ink in action! It has been a while since a printer has excited us, but Epson’s new offering is such a cool concept we will be putting it on display at Warragul Computer Repair! Drop by between 8am and 3pm Monday to Friday to see how it all works for yourself. You have no obligation to buy, but we’re sure you will be impressed! Warragul Computer Repair can be found at 6 Smith Street, Warragul.